8"x72"x3" thick granite paver inset into concrete at edge of central monument paving. 1" engraved lettering with donor name and inspirational message. 6"x72"x3" thick granite paver inset into concrete walking path aligned with bench rings. 1" engraved lettering with donor name and inspirational message. 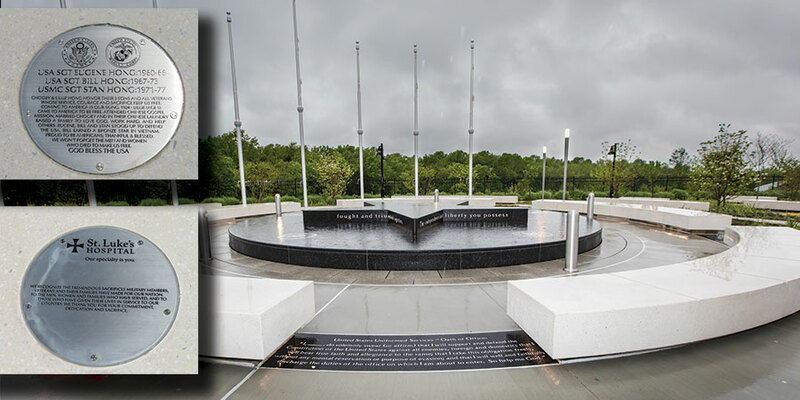 96"L x 24"D x 18"H precast concrete bench with polished top, sandblasted sides, integrated lighting with a donor plaque, inspirational message on the top surface in a high traffic location. 96"L x 24"D x 18"H precast concrete bench with polished top, sandblasted sides, integrated lighting with a donor plaque. 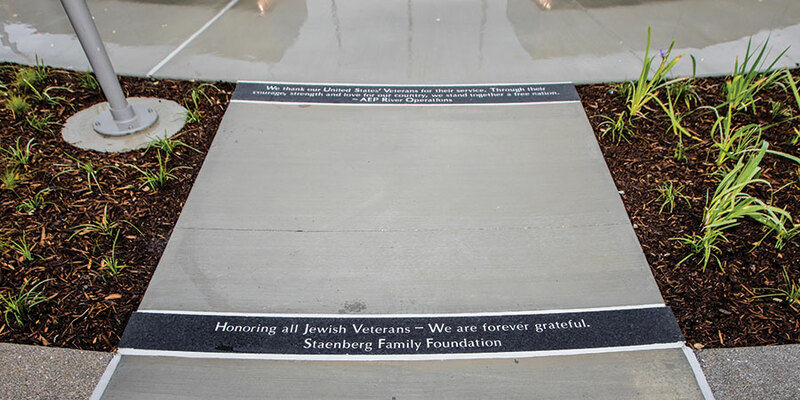 12" x 24" pressed concrete paver with six (6) lines of text each with 30 characters per line (including spaces). 9" x 18" pressed concrete paver with three (5) lines of 3/4" text with 16 characters per line (including spaces). 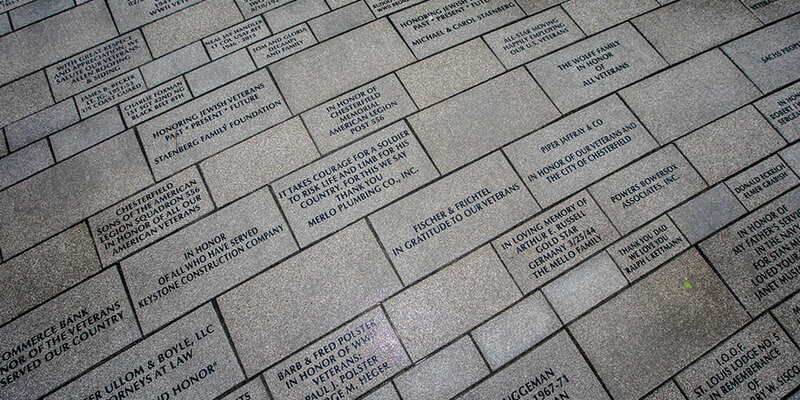 6" x 12" pressed concrete paver with three (3) lines of 3/4" text with 20 characters per line (including spaces). All donations are tax deductible to the extent allowed by law. All proceeds will benefit Veterans Honor Park. Note: Addresses are requested in order to send a letter notifying the tribute recipient of a donation made in their name. If there is no address, please add your address and write "no letter" in the message box below. WHEN SUBMITTING PAYMENT ON THE NEXT PAGE, DO NOT ADD SPACES IN THE CARD NUMBER.